I was recently asked to make some Day of the Dead skulls for a wedding. I’ve been wanting to try making them for a long time so I was super stoked for the opportunity and creative freedom given to me! 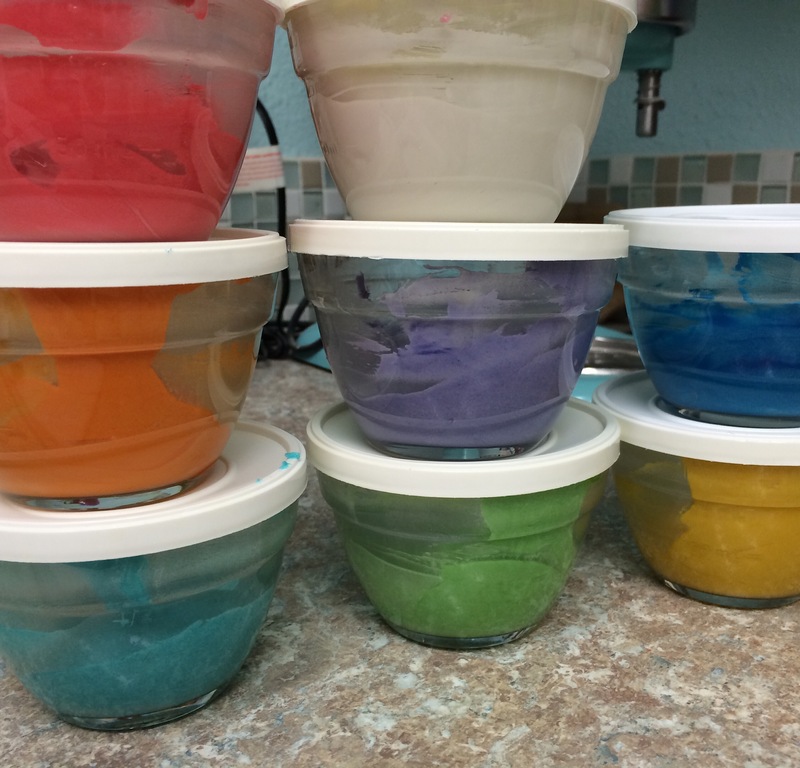 I made a ton of colors of buttercream to decorate the tops of the cookies. The base cookie I just wanted to be white. My new vanilla extract was a little too dark and left them very “off white” even after adding white food coloring. It actually looked more like real bone so it worked out! To make the cookies I used my flip flop cutter. Which, interestingly, I have never actually made flip flops with. I did however bend it into these beer pong cups a long time ago. 😜 I just had my husband re-bend and rework the cutter until it was a perfect skull. I wanted these to all have completely unique and different looks to them, but they also needed to be uniform in their “skullness.” So I created a template and marked the mouth, nose, and eyes with a poker. It just left tiny holes that would be hidden once covered with frosting. I had so much fun making these. I googled sugar skulls, dis de los muertos, and everything like it tso that I could pull ideas from all over. I even had a Fancy Flours catalog on hand with a nice selection to be inspired by. 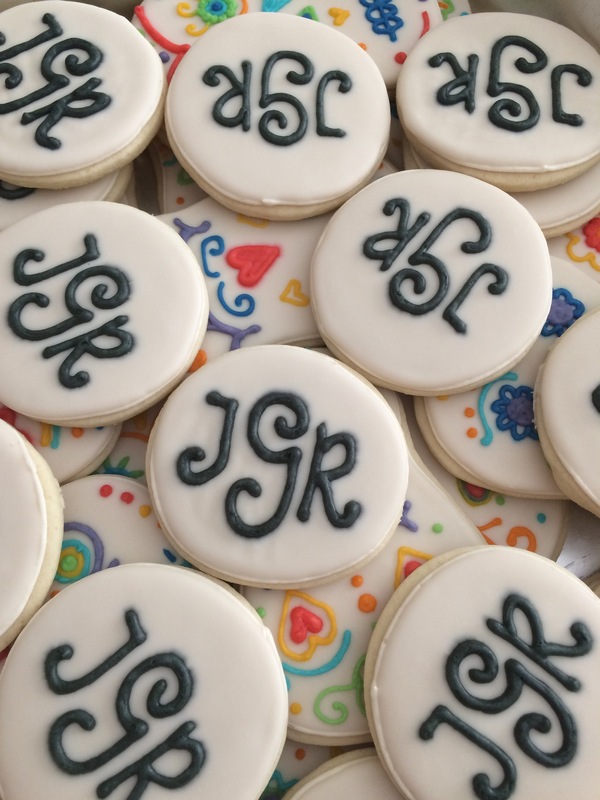 I also did some monogram cookies. 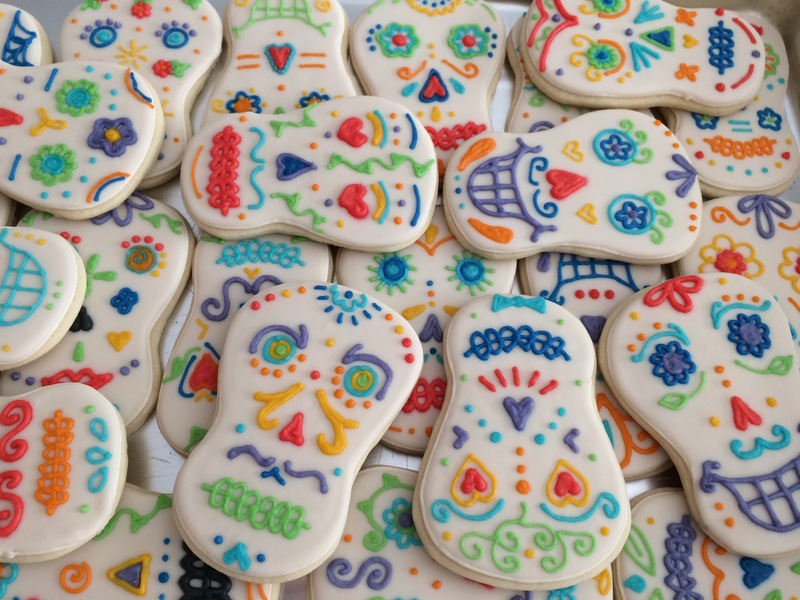 The event called for more cookies than I knew I could handle if they were all skulls so I did half of them like this monogram to pair well with the rest of the cookies. I just did these freehand based on a sketch I did on paper. I love how they look together and I hope the couple enjoyed them! Happy skulls, how cute is that? Great job Carrie, very inventive idea!! 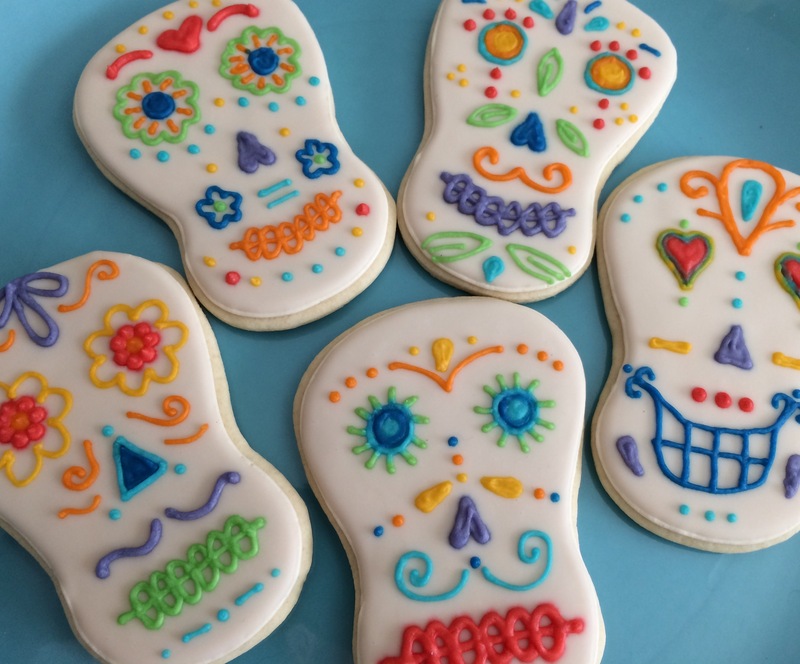 The skull cookies look so amazing Carrie!!! Love the colours!! Well Done!! !